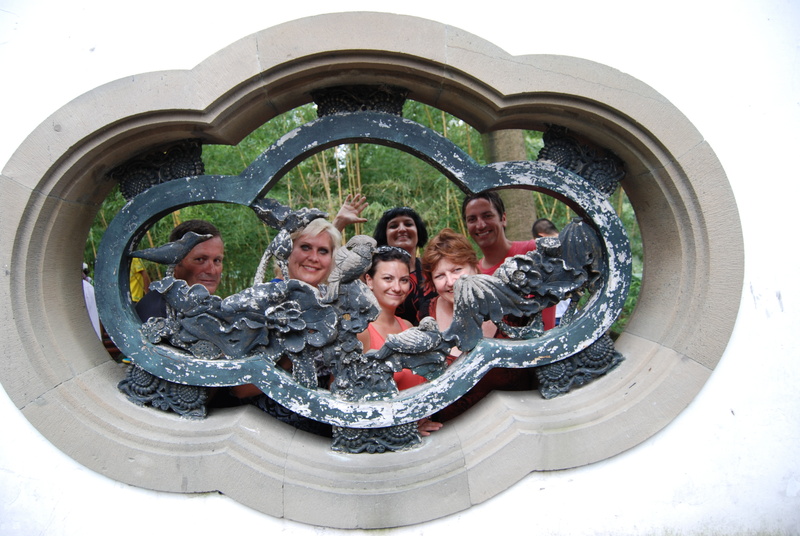 It took us a while to get used to our China Odyssey tour guide’s sense of distance and time. Our guides quick 15 walk from the hotel to the lake turned into a 40 minute hike! Our group might have been a tad more unfit than he thought so this could have been why his time estimate was way off. We walked across the TwistBridge on the Lake to a small island where we then had lunch before taking a boat across the huge lake. 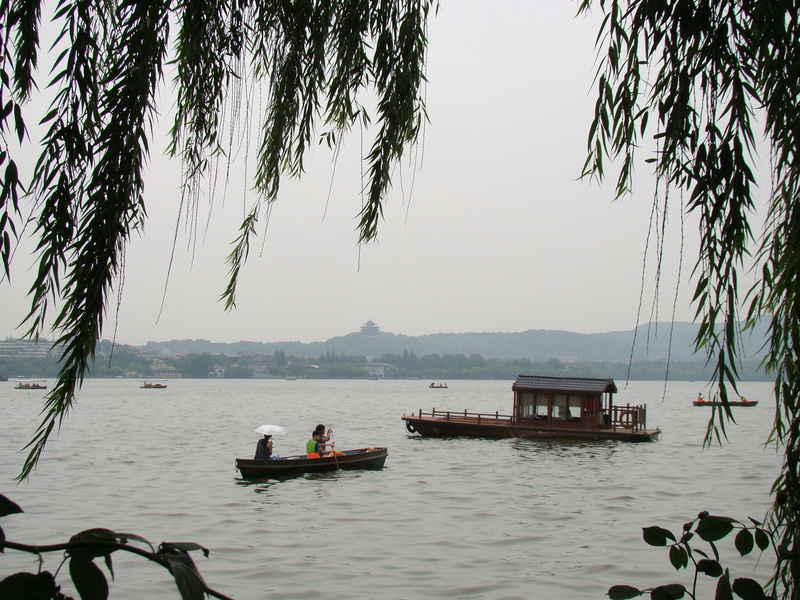 West Lake or Xī Hú is a freshwater lake located in the historic area of Hangzhou, the capital of Zhejiang province in eastern China. 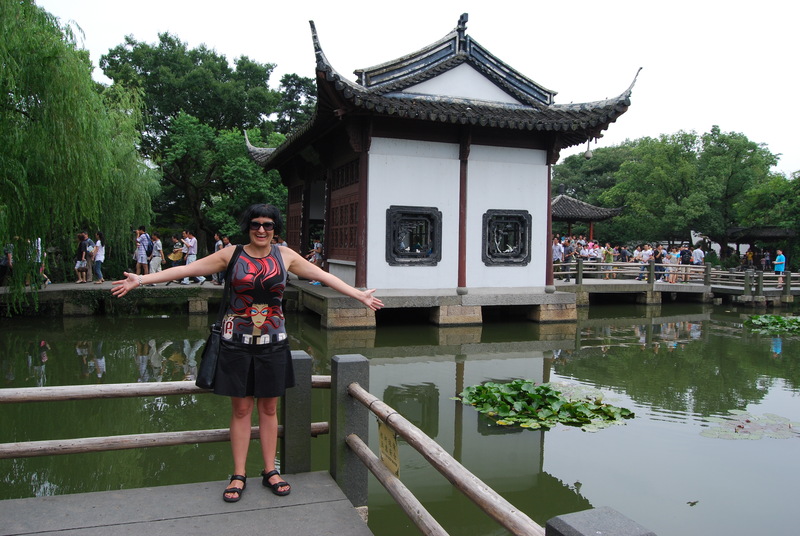 There are numerous temples, pagodas, gardens, and artificial islands within this huge lake. Gu Hill is the largest natural island in the lake. The lake is divided by Gu Shan, Bai, Su and Yanggong Causeways into five areas. 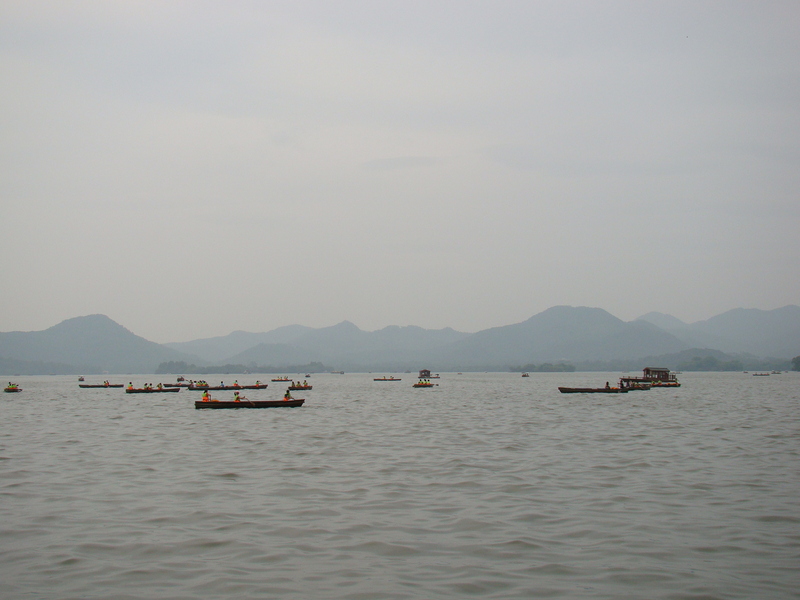 “Gu Shan” or Gu Hill is the largest natural island in the lake. WestLake is not only famous for its picturesque landscape, it is also associated with many scholars, national heroes and revolutionary martyrs, thus embracing many aspects of Chinese culture. Held in the embrace of hilly peaks on three sides, this water wonderland has been an attraction for centuries and it is small wonder that it was a favourite imperial retreat. 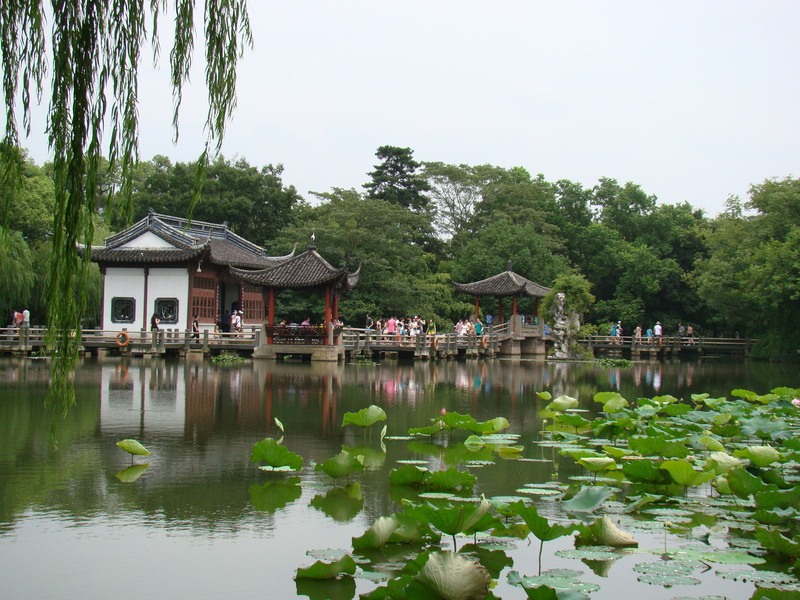 The lake and its environs have all the elements of a traditional Chinese garden but on a grand scale. Cruising on WestLake, we were all caught in the peaceful atmosphere and charm of the beautiful surroundings. The lake looked like a landscape painting, and I felt as though I had stepped into a land of magic and fantasy. To the south of the centre of the OuterLake is a man made island known as the Island of Little Oceans, that encloses four small lakes. From here one can view the Three Pools Mirroring the Moon when at night candles are lit in stone lanterns jutting out of the water thus creating the impression of the reflections of three moons. The scene is depicted on the 1 yen note. 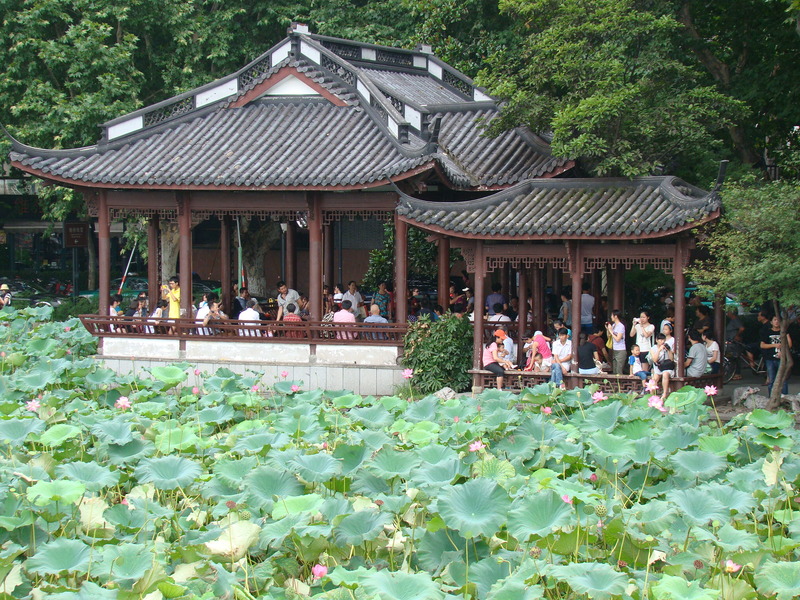 WestLake has influenced poets and painters throughout the ages for its natural beauty and historical relics, and it has been among the most important sources of inspiration for Chinese garden designers. It was made a UNESCO World Heritage Site in 2011. Wonderful photos, Janaline. Thanks for sharing! Thanks Melia! It was such a peaceful and tranquil place to explore! Love your picture with the note in the foreground! Thanks Bronwyn! 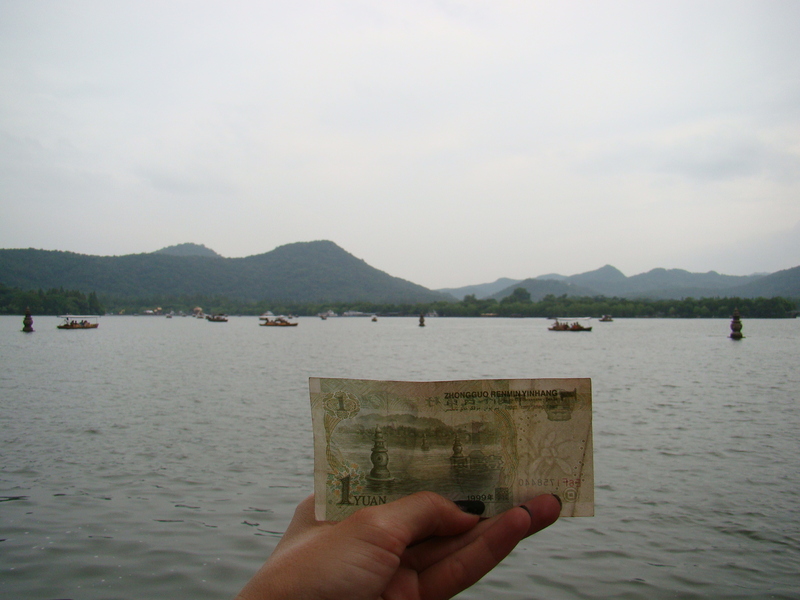 Loved to be able to capture the scene they used on their 1 yen notes…it is so beautiful!! Thanks Amy! Was such a lovely peaceful place. Cool pictures! I love the gloomy skies! Thank you! I also think the gloomy skies actually created a lovely atmosphere! Reblogged this on Gabbie News. Thanks for the re-blog Gabbie!! Say hello when you travel through Penang, Malaysia. It’s also a Unesco world heritage site! Thank you, I will definitely do that!! Standing and Walking on The Great Wall of China! !